Description: New genuine Acer Aspire Veriton computer power supply. This original Desktop power supply is rated at 300 watts. Part #'s: DC.30018.004, PY.3000B.016, PY.3000B.013, PY.3000B.009, PY.3000B.001, PY.30008.015, PY.30008.019, PY.30008.032, PY.30008.033, PY.30009.021, PY.30009.019, PY.30009.009, PY.30009.004, PS-6301-08A, PS-6301-08A3, PS-6301-08A2, DPS-300AB-39 C, FSP300-60THA(1), DC.30018.005. 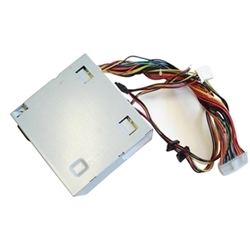 Acer Aspire E300, E350, E360, E380, E500, E560, E650, M3202, M3203, M3300, M3400, M3410, M3420, M3450, M3470, M3470G, M3800, M3802, M3900, M3900G, M3910, M3920, M3970, M3970G, M3985, M5100, M5200, M5201, M5400, M5620, M5621, M5630, M5640, M5641, M5700, ME600, SA60, SA80, SA85, T135, T136, T150, T160, T180, T3-600, T3-605, T3-710, T620, T630, T650, T660, T680, T690, TC-105, TC-120, TC-603, TC-605, TC-710. Acer Power F3, F5, F6, FE, FG, FH, FV, FVc, M35, M5, M6, M8, S280, S285, SK50. Acer Veriton 6800, 6900PRO, 7600GT, 7700G, 7800, 7900PRO, M261, M275, M421G, M430G, M460, M460G, M480G, M490G, M498G, M680, M680G, M4610, M4610G, M4618, M4618G, M6610, M6610G. eMachines ET1331, ET1331G, ET1352, ET1352G.